The team at Everlast Services is proud to announce that we have recently completed an extremely challenging and difficult large-scale commercial fencing project in Footscray. In fact, the job was so challenging, that no other fencing contractor in Melbourne would take it on. Luckily for our client, no job is too big for the commercial fencing experts at Everlast Services. We love a challenge and our experience in all types of fencing is sure to benefit you in all your fencing needs. Our aim is to deliver modern, affordable fencing that doesn’t compromise on quality. We offer perfect fencing solutions that won’t break the budget. 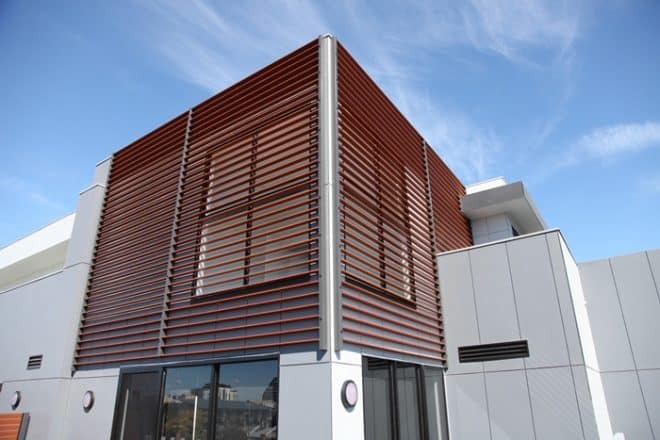 This particular project in Footscray required the careful installation of numerous types of aluminium slats at an apartment block in busy Victoria Street, Footscray. 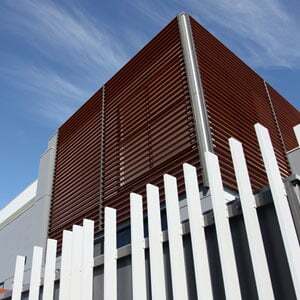 The client wanted a very unique design in terms of the position of the aluminium slats; some of the slats were installed vertically, some were installed horizontally, and others still were flat slats. On top of the uniquely designed fencing, there was also the location to deal with. Victoria Street is an incredibly busy main road. So, Everlast Services had to ensure that all health and safety, traffic management and council rules and regulations were adhered to at all times. As always, this was something that the team was incredibly comfortable with; we’ve completed jobs in much busier and cramped environments that this particular project posed. Given the challenging nature of the project, we weren’t surprised to learn that the client had experienced real difficulty when it came to finding a fencing contractor willing to take on their job. By the time Everlast Services had been contacted, more than a dozen companies had already been offered the contract. Not a single one had even agreed to supply a quote. The client was wondering what on earth they were going to do. But, the experienced, professional team of experts at Everlast Services has never let a challenging environment get in the way of a superior quality finish. And we weren’t about to start now. We took approximately three days to devise the best possible way to achieve the fencing results that our client needed. We took into account a number of different factors, including access to the property, health and safety, and the best possible materials. These two planning days paid huge dividends in the long run, for both the client, and in terms of delivering a stress-free installation for our team. We used the three days to compile detailed designs for the commercial fencing job, which then stood us in good stead when our team started work on-site. Within less than a month, we had all the aluminium slat fencing (both powder-coated and wood-look) installed safely and securely at the property. As you can see, the images speak for themselves. The end product is both functional and beautiful. Everlast Services Owner and Founder, Jay Shao, was extremely pleased with the entire project, from the planning, right through to the end result. “The end result is just absolutely stunning, and our client is extremely happy. The Everlast Services team enjoyed the challenge this project brought with it. When the client first approached us, no other contractors had wanted to take the project on. But not us. We were only too happy to help the client achieve their goals. I had complete faith in my team, the quality of our workmanship, and our ability to deliver on time, and on brief, throughout,” said Jay.